Us Sydney women want to look fab at all times. 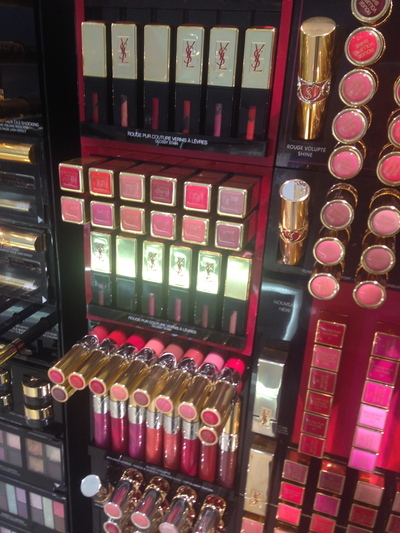 We are spoilt for choice when it comes to make up and beauty choices. The difficulty is in deciding on what to choose. Just because the sales person at one place is better than buying make up at a place better suited to your skin type. On this, where is the best place to buy make up in Sydney? I love the Myer on George Street because it has a wide selection of different brands and products, including some that are quite hard to find offline, such as Benefit and Too Faced. Plus, the staff are knowledgable and helpful. Also, if you want most of the usual brands for good prices, there's always Priceline! Love it Sophie - of course Benefit at Myer in the city :) Love it how you can get your brows tidied there too. The advice at David Jones in Elizabeth Street is excellent. I also like the Napoleon Perdis concept stores at Westfield Sydney. I am interested to see what answers you guys come up with. I love Mecca Cosmetica (Paddington, George St, Chatswood ect) They have independant and mainstream brands. And if you spend over $90 they will do you makeup for free. I often will plan my makeup purchase before a big event and get my makeup done. I recently went to the new Sephora store in Sydney city and it had so much variety and range and heaps of well known and newer brands!